Rock Lawn Cottage is a detached cottage near the village of Kealkill just six miles from Bantry. The cottage sleeps seven people and has two double bedrooms and one family room with three singles and a family bathroom and wet room. Also in the cottage is an open plan are with kitchen, dining area and sitting area. Outside is ample off road parking and a front lawn with furniture. Situated in west Cork, Rock Lawn Cottage is a lovely family holiday cottage all year round. Kealkill is a small village in the west Cork countryside and is home to a shop and two pubs and the Kealkill stone circle a significant archaeological site. A short drive away is Bantry, a coastal town, located between Sheep's Head and the Beara Peninsula and is home to a variety of shops, pubs and restaurants great for dining out and experiencing good local Irish music. For outdoor fanatics there are plenty of activities for you to partake in such as golf, sailing, scuba diving, walking and cycling nearby, as well as a whole host of local treasures just waiting to be found. Solid fuel stove providing the heating throughout. 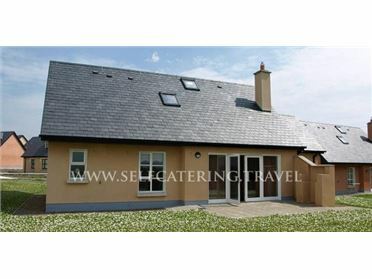 Electric oven and hob, microwave, fridge, freezer, washing machine, dishwasher, TV with Saorview and Free-to-air channels, DVD, CD/radio, WiFi, selection of books, games and DVDs. Fuel, power and all fuel for stove inc. in rent. Bed linen and towels inc. in rent. Travel cot and highchair on request. Ample off road parking. Front lawn with furniture. One well-behaved dog welcome. Sorry, no smoking. Shop and pub 1.5 miles..